Faith is inspirational, not afraid to try jump out of her comfort zone to heal herself, and shares her experience of eating clean, having fun, and loving life. The minute she sent me this recipe I was in awe. 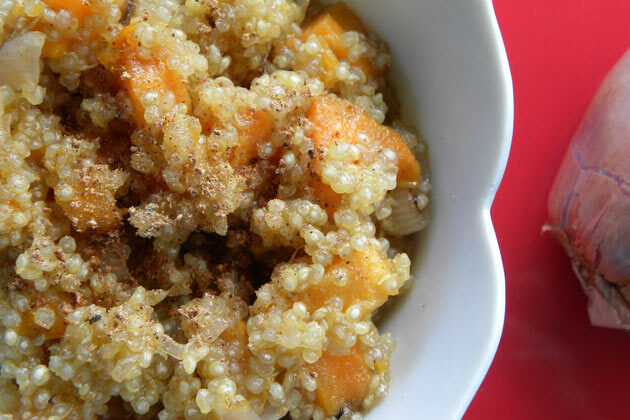 Quinoa, maple, sweet potatoes?! A dish that would surely make my heart sing. Wanna come over and make it for me, Faith? Pleassse! Hi! I’m Faith, and I blog over at Lovely as Charged. Like Leanne, I’m passionate about clean eating and developing creative recipes to keep mealtime interesting! I maintain a vegetarian diet and focus on whole foods as much as possible – with plenty of wiggle room for cookies, of course! 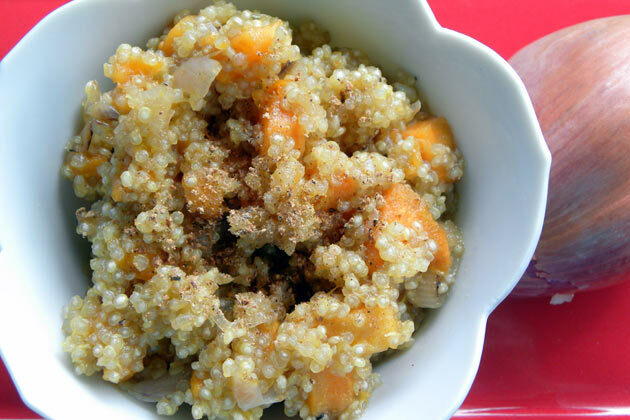 Surely you’re no stranger to quinoa – with its high protein content, awesome texture and seemingly endless versatility, it’s no wonder that the grain is one of my go-to ingredients to assemble a dish. 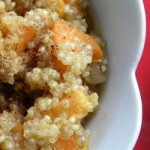 Since I’d never taken a sweet route with quinoa, I decided to try a maple-kissed variation this time around. Warm and comforting, this dish makes a simple one-pot supper, but its subtle sweetness makes it a perfect breakfast dish as well! That extra pop of protein is a welcome way to start off any morning – or end any long day at work! 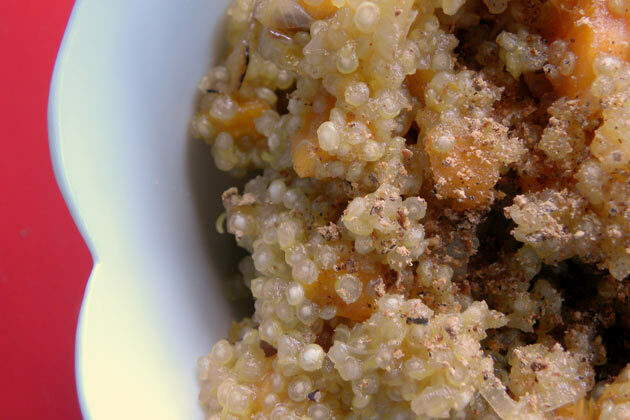 Boost your day with a pop of protein for lunch with this vegan-friendly warmed quinoa salad. 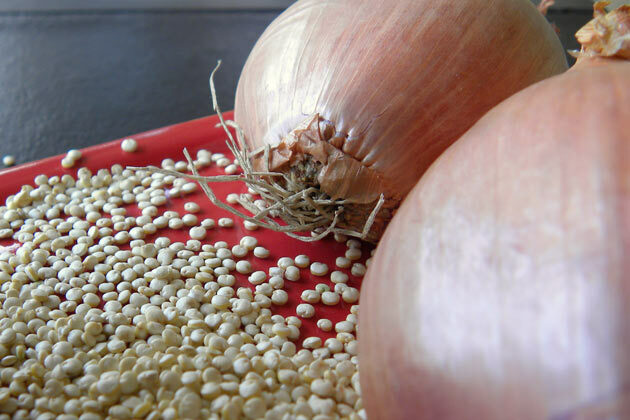 Bring water to a rolling boil; add quinoa, cover and reduce to low heat. Puncture sweet potatoes with a fork and microwave for 8 minutes. In a small pan, warm the olive oil over medium heat. Add the shallots and cook until translucent, stirring often. 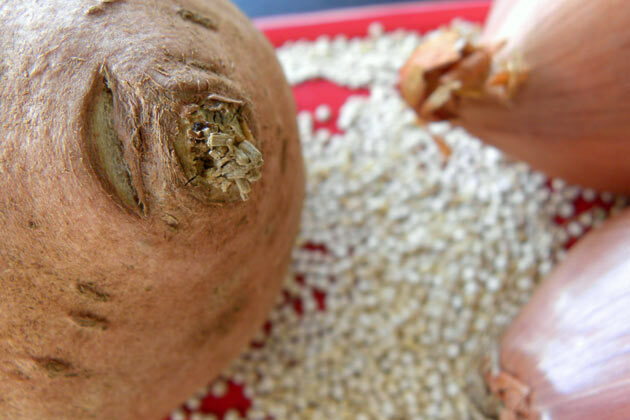 Cube the sweet potatoes and stir into the quinoa along with the cooked shallots. I loved the combination of the rich nutmeg and the sweet potatoes with a light sprinkle of sea salt – even though the ingredients and flavors stayed simple, it added an extra layer of complexity to the dish. Question: Sweet, savory, or a little bit of both: What’s your preference?